I'm home for a quick visit. Well, I hope it's a quick visit. Seems the winter weather might have other plans, but fingers crossed I'm back on a flight to London tonight. Yesterday we got a bit of snow. People of the southern states wiped out supermarket shelves yesterday afternoon after hearing we would get between 8-12 inches of snow overnight. We waited and waited and only saw two inches fall over the course of two hours and then the catastrophic snow storm became a fun little flurry of excitement. 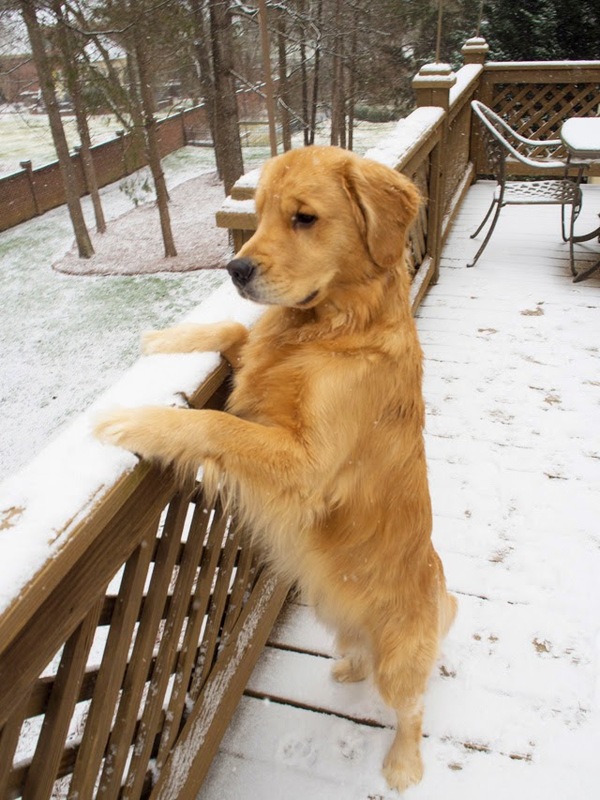 However, the two inches made for a perfect introduction environment for one Boomer the Golden Retriever. 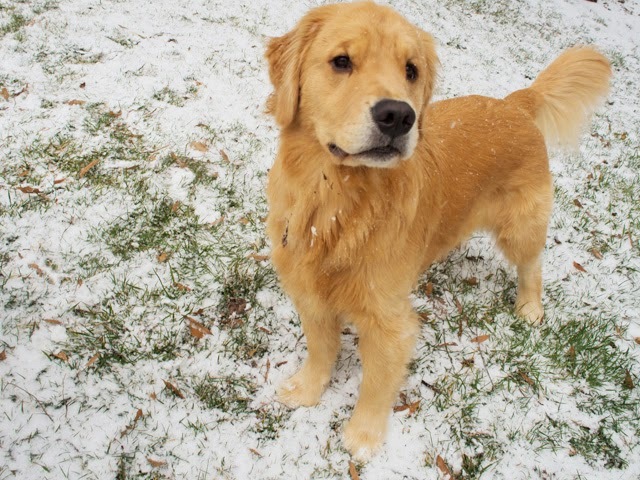 This is Boomer's first interaction with the white stuff. 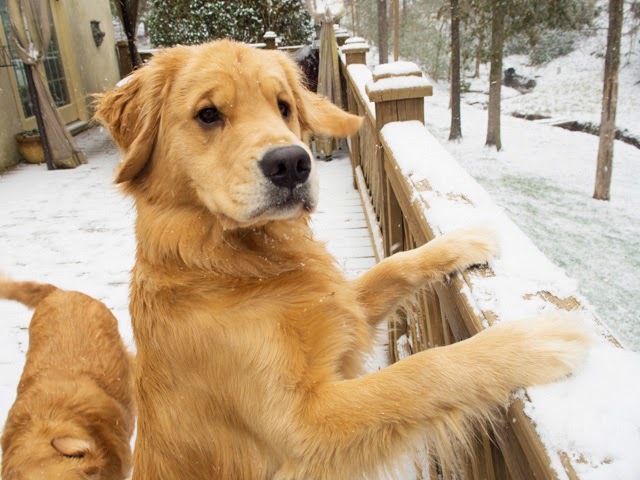 He, and his brother Brody, woke up to quite an unexpected outdoor adventure. Upon opening the door to the side yard, Boomer and Brody looked upon the great outdoors as a mysterious and new land. What was this white powder that had blanketed their familiar grassy fields? The most priceless moment? 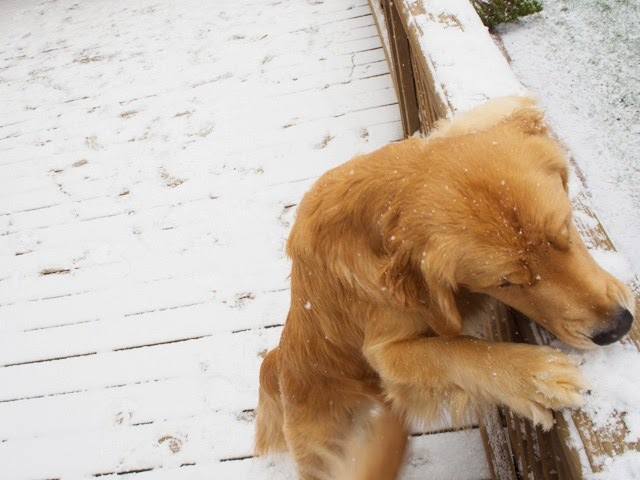 It has to be the second their paws touched snow for the first time. They tiptoed out two or three feet and then started running like crazy headless chickens. 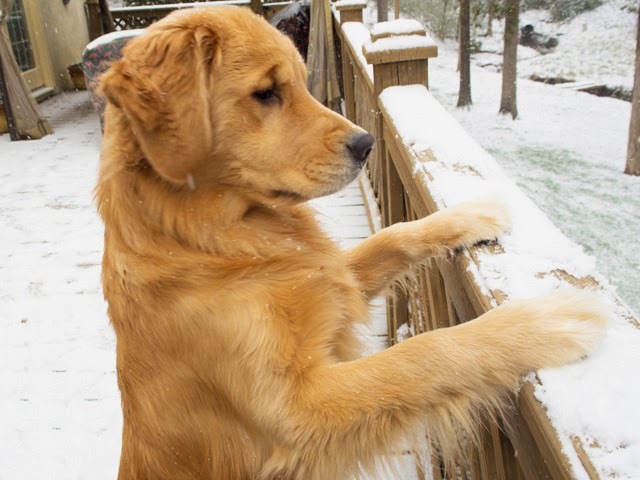 Snow, according to the pups, is the greatest winter invention EVER! It's slippery, cool and great for puppy wrestling. 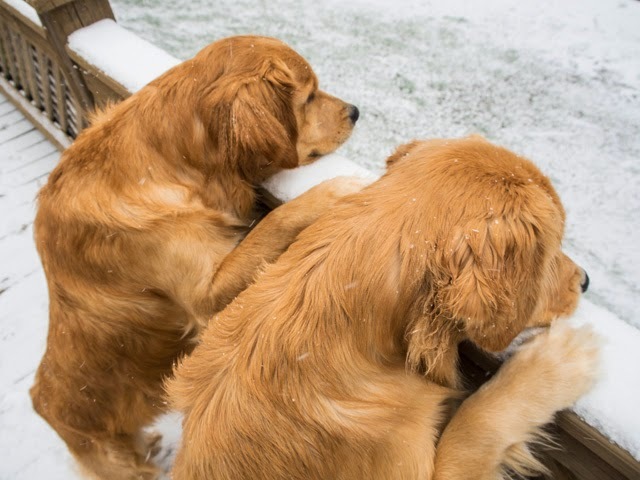 The two goldens stumbled, tumbled and fumbled. Two happier dogs have never existed... and here's the photographic evidence to prove it.